Wirsol Energy Pty Ltd will commence construction on the 110MW Wemen Sun Farm later this year. Wirsol, an arm of German renewables developer Wircon GmbH, didn’t provide information on who they bought the farm from or for how much (it was previously owned by Overland Sum Farming along with Island Green Power). No word on the two other Mildura solar projects owned by the same companies – the future of the Yatpool Sun Farm and the Karodoc Sun Farm is currently unknown. 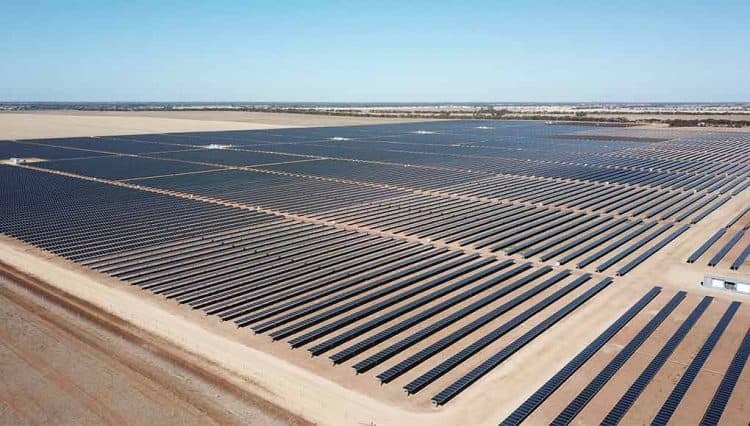 Wirsol Energy did note that by the end of the year they will have five solar farms under construction in Queensland and Victoria – with a combined capacity of around 400MW. So it wouldn’t be surprising if they’ve done a deal to procure one of Yatpool and Karodoc projects, given that they have already announced three other solar farms in various stages of completion. According to the Wirsol website they will also have the Whitsunday Solar Farm (Collinsville – 69MW), Hamilton Solar Farm (Collinsville – 69MW), and the Gannawarra Solar Farm (Kerang, 60MW) all commencing commercial operations in Q1 2018 – if you add their output to the Wemen Sun Farm that makes approximately 310MW – we’ll see what the fifth farm is soon enough, no doubt! There will be much more to come – according to Wirsol they plan to deploy up to 1GW of solar power by 2020. The project is located at Hatta-Bronvale Road in Wemen, close to the border of Victoria and New South Wales and approximately 110km south east of Mildura. According to RenewablesNow, it is a 110MW plant on 770 acres and will ‘give rise to regional value creation’ of over $200m. AussieRenewables are reporting that Powercor Australia have signed PPAs to connect the projects to the state electrical grid, but no word on if that agreement will carry over with the new owners (that information was taken from the Overland Sun Farming site back in March). Overland CE Brett Thomas was quoted in WeeklyTimesNow as saying that the farm’s panels would use tracking to follow the sun from east to west; we’ll undoubtedly see more information about this as the project enters development. Another great development for Australian solar farms!